the State Government in 1997. Established in the 17th century by the Kuthiala sub-caste of the Sood community preserved it to commemorate their adorable daughter Prag Dei and were the treasure keepers of this region. With ‘Prag’ meaning ‘pollen in Sanskrit, this town is a delight to watch & stand midst artistic Havelis, buildings adorned with impeccable Italian finish, stoned covered streets, speckling forts and unscathed history. 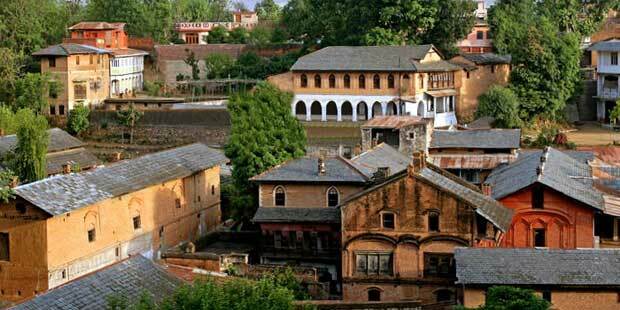 Beside this the nearby village ‘Garli’ also called as the sister of Pragpur is tagged as the Heritage Village by the state government of Himachal Pradesh. Every year thousands of tourists flock to this place looking for tranquility & harmony between the commotions of the maddening urban city. The Dhauladhar ranges in the vicinity make a spellbound backdrop along with Beas River nearby the town. T he people of this village have well potted the town giving it a medieval ambience to it. The epic structures that are ripping apart and some decaying are being restored whilst using original techniques but with latest technologies. Pragpur houses many places with exemplary ancient architecture and Taal is one place in this town which has the entire city constructed around it and dole out a leisure place for the young lads & the old. 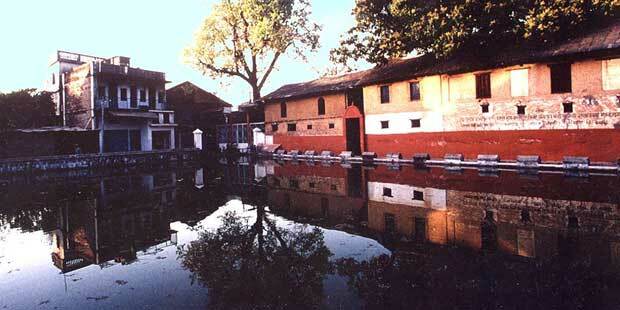 Constructed by the Nehar committee this pond and till date is accountable to maintain this primeval water system. There are myriad other prehistoric structures that are constructed around this pond and which includes 100 years old Butail Niwas, Naun a drinking water facility dated back to 1864, Nehar Bhawar which is over 250 years old, Dhunichand Bhardial Serai a village public house, Rerumal Haveli & none other than the Judge’s Court displaying an immaculate Indo-European approach structural design that draws tourists and historians from all around the globe. To reconcile with the history of Pragpur, the first to cross our mind is the Butail Niwas which is over 100 years old and was established by Lala Buta Mal, the successor of the well-known Chaujjar Sood Clan. It includes 6 indistinguishable apartments which were built for his sons along with a deep-set courtyard which was swamped with water in summers to provide cooling for them and was brought from the Nalsuyah Khad. Another epic architecture that is sited beautifully in this town is the Judge’s Court, a marvelous country mansion which is almost decades old and was built in 1918 bringing the Indo-European style into existence. Built by the iconic and legendry prophet Justice Shri Jai Lal, the manor offers bliss of affluent eco-system, humongous mountains surrounding the town and the charisma of an impeccable living style in the Ancient India. Standing atop 12 acres of green vegetation, this court is now a Heritage Hotel owned & run by the Grandson of Shri Jai Lal, Mr Vijay Lal and is one must place to visit whilst your visit in this splendid town of prehistoric ethnicity. The Rerumal Haveli built in 1931 by Rais of Pragpur is another major attraction that offers magnificent water reservoir, pleasure porch & an enticing Mughal style garden leaving you speechless. The town is also famous for its fairs & festivals beside its architecture. The Lohri festival in February adds a bewitching charm to the aura of the town and enthralls with divine and positivity. And the famous Nakki Mela, a kind of wrestling fair that is held every year in the month of September gives tourist and locals to cherish with great enthusiasm. 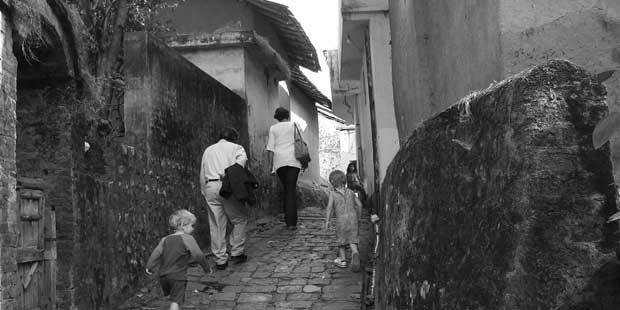 Apart from that the town provides a great opportunity for trekkers, cyclist, birdwatchers and those who are looking for peace and tranquility midst the hustle-bustle of their lives. 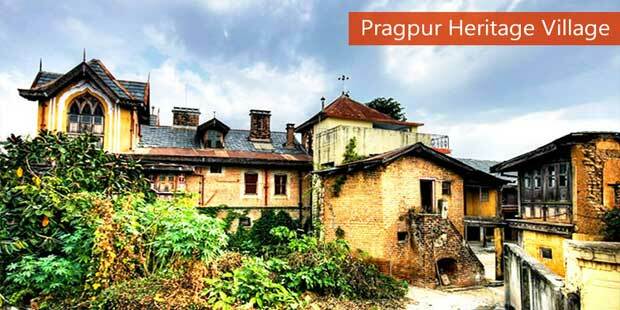 A taste of golden yester years & and a well preserved architectural splendor, Pragpur is a perfect getaway and a well-known place of serendipity.